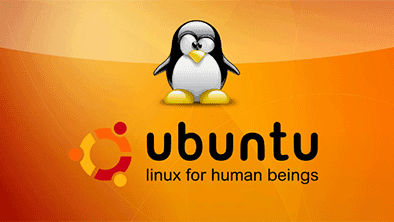 Ubuntu is the world’s leading Linux distribution. Thanks to its dominance of the Linux world and users’ tendency to be both tech and privacy savvy, it’s also teeming with great VPN options. After evaluating some of the best tools on the market, we recommend ExpressVPN as the best VPN for Ubuntu. Read on to see why we reached this conclusion and how it compares with the other options on the Ubuntu VPN market. Ubuntu is the world’s most popular Linux distribution with (possibly) well over one billion bare metal, cloud-deployed, and IoT installations running worldwide. Ubuntu and other Linux distributions are also famous for being substantially more customizable than both their Windows and Mac-based counterparts. For those searching for VPN software for Ubuntu, we believe that this makes for a winning combination. Thanks to its large market share in the Linux world, there are plenty of options to pick from when selecting an Ubuntu VPN. In addition, most VPNs that run on Ubuntu also allow users to get deep under the hood to make the kind of granular changes to configuration settings that may be difficult on other more locked-down platforms. But just like Linux distributions, VPNs are not created equal. We set out to find the best Ubuntu VPN. Here’s what we found. Why You Need a VPN for Ubuntu? Firstly, you may be wondering why you need an Ubuntu VPN in the first place. Although Ubuntu’s network manager contains the ability to create a VPN connection out of the box, being a free and open source operating system, it unsurprisingly does not also include a free VPN subscription (although, Canonical, we wouldn’t complain if it did!). For any security-conscious user, however, having a reliable VPN connection is a must rather than a luxury. VPN connections encrypt and tunnel your internet traffic through another server – usually, one located in another country. This makes it appear to websites with geo-restricted content that you are browsing from that territory and can make amazing things happen like allowing you to stream Netflix where it isn’t technically available. Because they also encrypt the traffic that they tunnel, VPNs are also an essential gear for preventing your internet service provider (ISP) or other users on your network from snooping on what you’re getting up to online. Without encrypting your connections, even WPA2 Wi-Fi security may not prevent other network users from sniffing your connection traffic. For these reasons and more, we recommend that Ubuntu users never surf the net without a VPN. Unfortunately, the best VPN and the best free VPN for Ubuntu are not one and the same. While there are entry-level providers that provide up to one year’s free service, these usually come with hefty restrictions on bandwidth, server access, and connection speed. Instead, we recommend investing in a provider that has taken the time to develop a reliable and speedy server network, invested in providing stellar customer support for its users, and one which includes some more advanced features such as automatic connectivity on startup and complete DNS leak protection. With those criteria in mind, here’s some of the best VPN software for Ubuntu currently on the market. Besides having just about the best performing server network in the world of VPNs, ExpressVPN also managed to provide the smoothest user experience for its Linux app of the providers that we reviewed. Downloads for the Ubuntu, Fedora, and CentOS distros are available from the ‘setup’ page of the user area. Once the Debian package is installed, users call ‘expressvpn’ in a terminal to access the command line interface (CLI). Once the program is activated, it’s as easy as typing ‘expressvpn connect Germany’ and ‘expressvpn disconnect’ to initiate and discontinue a connection from any server in ExpressVPN’s impressive server network. ExpressVPN also boasts 24/7 live chat support, 256-bit AES encryption and the ability to connect using a wide variety of protocols. The service costs $8.32/month when purchased as a yearly subscription or $12.95 when paid for each month. All plans include 30-day money-back guarantees. NordVPN’s Ubuntu offering comes packaged as an OpenVPN configuration file. Each location’s configuration needs to be added manually (and separately) through the network manager. TCP and UDP options are provided for each location in Nord’s network, which numbers over 2,500 servers worldwide. Some of Nord’s notable features include its CyberSec advanced malware and ad blocking technology as well as its offering dedicated servers for use with Tor and double VPN connections. NordVPN costs $3.99/month for a two-year plan or $11.95 on a rolling month-by-month subscription. All plans come with a 30-day money-back guarantee. HideMyAss (HMA) Pro can be used on Ubuntu in several ways. There’s a command line interface (CLI) that parses aliases of its server names to initiate connections, a gOpenVPN connector (gOpenVPN is a GUI front-end for OpenVPN), and terminal-based connectors for PPTP and L2TP connections. HMA stands out for its tolerance of peer to peer (P2P) file-sharing, such as torrent downloading, and for the fact that it has recently brought new servers online that work with Netflix. HMA subscriptions cost $6.56 when prepaid for a year or $11.52 per month. New orders are covered by a 30-day money back guarantee. Like the other providers listed above, SaferVPN does not currently produce a graphical user interface (GUI) for Ubuntu users but does provide comprehensive documentation for getting connections to work via both OpenVPN and PPTP (the latter is useful for legacy hardware). Like other network manager-based setup methods, SaferVPN’s major disadvantage for Ubuntu users is that each connection server has to be configured manually. If that’s not an issue for you, you can take advantage of some of SaferVPN’s features which include 24/7 customer support, a no-log policy, and its reliable self-managed server network which has been manually optimized by system engineers for the fastest possible VPN connectivity. It’s currently priced at $9.99/month or $4.49/month when subscribed to for a year (that’s a 55% saving on the regular price). There’s a 30-day money back guarantee. PrivateVPN’s Ubuntu/Debian setup options include a connection script (the server you want to connect to needs to be hard-coded into a configuration file or installing configuration files to the network manager) and a series of OpenVPN files that can be added to the Ubuntu network manager. One of the smaller providers on the market with only 56 servers, PrivateVPN uses AES 256 based encryption on all its connections but has 24/7 live chat support and currently passes the all-important Netflix connection test (many VPN providers have had their connections blocked by the multimedia giant). PrivateVPN is currently priced at $5.48/month or $2.77/month on the 13-month plan (one month is free). All plans include a 30-day money back guarantee. IPVanish is yet another GUI-less provider that can be set up on Linux by adding PPTP or OpenVPN connection files to the connection manager. This US-based provider offers streaming, P2P, and BitTorrent support from all its servers and counts some more exotic locales on its 850-strong server network list, including Kyrgyzstan and Saudi Arabic. On the downside, it does not currently unblock Netflix and its support is limited to US business hours. IPVanish is available for $10.00/month or $6.49/month for a yearly subscription. There’s a seven-day money-back guarantee included in each plan. For more about IPvanish, read our full online IPvanish review. Setting up a VPN for Ubuntu depends on the options provided by the VPN company that you are using. Some provide a full-fledged visual software program (in Linux jargon, a graphical user interface, or GUI). Others provide tools that require you to punch in commands to a terminal (in Linux jargon, a command line interface, or CLI). Most also offer OpenVPN or PPTP based connection files which can be manually added to the network manager. Click on the network manager icon. Navigate to the .opvn you downloaded from your provider. For some providers, you may need to also manually point the network manager to the location of the user certificate, CA certificate, and private key. If this is the case, your VPN company will provide clear instructions as to where these can be downloaded from. Although the Linux kernel is generally considered inherently more secure than Windows-based operating systems, there has been at least one major privacy issue with the Ubuntu distribution over the years that makes it especially important that you only browse the internet from an Ubuntu device while connected to a VPN service. One of the main concerns to date was with the Unity dashboard potentially leaking information about searches to online retail giant Amazon as well as to Canonical itself (the company behind Ubuntu). Although Amazon searches were routed indirectly through a Canonical-maintained server, the privacy issue was addressed in Unity 8 and the latest release of Ubuntu has returned to the GNOME desktop environment. Using a VPN, both inbound and outbound internet traffic is encrypted, protecting the anonymity of your search queries from any middlemen that might stand to make commercial gain from knowing your interests. Should You Get a Free VPN for Ubuntu? There’s no such thing as a free lunch – in life, as in VPNs. While your ISP is not able to see the data you send over a VPN, the company itself can. With VPNs, it pays to read the fine print. Running a VPN company is expensive and companies need to recoup those costs somewhere. Providers offering free services are more likely to be bereft of the kind of privacy policies and terms of conditions that safeguard your data from being tracked or sold by the company itself. Signing up for a free VPN service could get you more than you bargained for. Although the technical details are complicated, the case of Hola VPN using user connections as nodes for the Luminati proxy network (run by its parent company) is illustrative of the kind of deceptive catches that could come with such a service. With VPNs, you get what you pay for. For obvious economic reasons, free VPN providers are simply far less likely to have engaged in the kind of careful network optimization needed to provision a lightning-fast VPN network with multiple protocol support (such as that offered by ExpressVPN). Ubuntu users are known for optimizing every aspect of their machines. When it comes to ensuring a fast but secure internet connection, a quality VPN is simply a must-have. Of the six Ubuntu VPNs we reviewed, only ExpressVPN offered a truly easy setup process and the ability to quickly connect and disconnect from the full gamut of servers in their network.